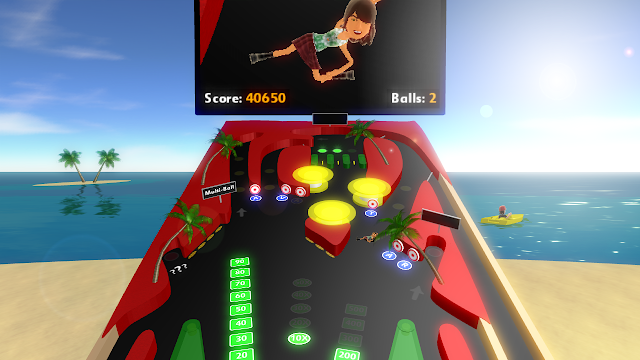 I took a break from development this morning to package up a PC version of my current Avatar Pinball build. It contains the Sock Puppet Pinball mode - one of 5 different modes in the game. To run it, you will need to have .NET Framework 3.5 and the XNA 3.1 redistributable package. Both are small, easy installs. Please do not redistribute the demo. Use an Xbox controller if you have one connected to your PC. 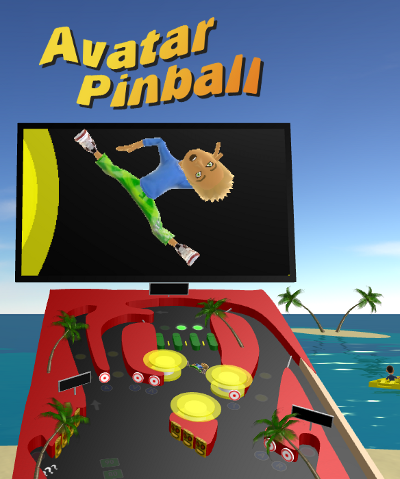 The Sock Puppet Pinball video I posted last week is one of the modes in the game, but on the Xbox the focus is on Avatars. The project is coming together nicely, and I am (I hope!) in the final stages of development. If I get time, I may release a windows build of the Sock Puppet gameplay (Avatars don't work outside of the Xbox). In the course of trying to jazz up the text in my current game, I came across a great little tool for generating XNA Spritefonts with various effects added. Effects include outlining, beveling, dropshadows, and texturing. It generates a .png file that you add as content to your project using "Sprite Font Texture" as the content processor rather than "Sprite Font Description". In code, you load it just like any other SpriteFont.